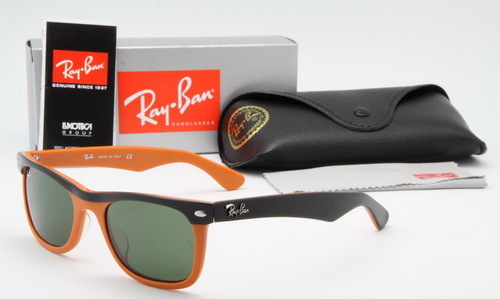 Since 1937, Ray-Ban has been one of the most recognized and top selling eyewear brands in the world. From its onset, providing an innovative sunwear solution for American pilots, Ray-Ban has been an international leader in eyewear design, innovation and, of course, style. Drawing on the brand’s pop culture heritage and meticulous craftsmanship, Ray-Ban continues to create contemporary eyewear, now also for prescription optical, that is infused with the signature lifestyle and quality that the brand has represented for years. Ray-Ban optical frames stand for iconic style, comfort and quality, each pair created with high quality and sturdy, yet lightweight materials. Each frame element from the lenses to the hinges, is designed and manufactured with the brand’s driving motivation to respond to the technological challenges in the eyewear industry to improve the quality, strength, flexibility and comfort of eyewear. Whether revisiting classics or creating cutting-edge, influencing style, Ray-Ban optical keeps the reputation of the brand’s iconic cultural symbol alive, perpetuating its’ enduring mark on cultural history. Ray-Ban eyewear is for those that don’t want to be seen, but definitely want to be noticed. See the Ray-Ban Website to learn more.